Facebook CEO Mark Zuckerberg revealed the company's plan to use lasers on satellites and reach every corner of the World. Facebook wants to sign up the rest two thirds of world population who are out of Internet access with this research. The Internet service provided through this technology will be cheap and will be available to every person in the world. "We are working on ways to use drones and satellites to connect the billion people who don't live in the range of existing wireless networks", said the company's CEO on his Facebook page. Last year Facebook and six other tech firms announced Internet.org, a company that aims to provide Internet services to every person in every corner of the world at affordable price. This research is a part of the Internet.org, it is being developed on Facebook's connectivity lab. Facebook has hired some of the talented scientists from NASA and the lasers transmitted via drones and satellites to earth will be invisible. Facebook has already tested a drone on UK sky which is connecting many people online. 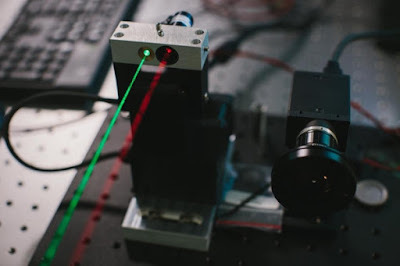 I hope laser technologies will help to connect the remaining world, provide low cost internet and increase the bandwidth.